JAMES KERNAN is an experienced trial lawyer who has concentrated his practice in personal injury cases, estate litigation and business disputes. He has been Board Certified as a Civil Trial Specialist by the National Board of Trial Advocacy since 1991. He has maintained a personal "AV"® rating from Martindale-Hubbell since 1993. 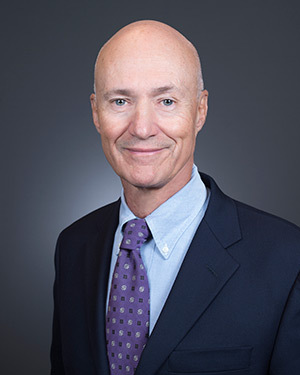 As a Civil Trial Specialist, Attorney Kernan has advocated the cause of his clients in over a thousand cases throughout Connecticut involving injury or wrongful death — including automobile accidents, uninsured motorists, product liability, medical malpractice, workplace injuries, insurance disputes, construction accidents, slip and fall and dog or animal injuries. He has handled numerous catastrophic and complex injury cases as well as cases involving complex engineering or scientific elements. Attorney Kernan has litigated complex legal issues and has successfully argued matters before the Connecticut Appellate Court and Connecticut Supreme Court, as well as the United States Court of Appeals. In estate litigation, he has successfully tried cases in both the Connecticut Superior Court and the Connecticut Probate Court. He has represented clients in a variety of estate litigation matters including Will Contests and disputes between heirs. Attorney Kernan currently serves as litigation counsel to Henry & Federer, a Southbury, Connecticut estate practice firm. Attorney Kernan has been appointed by the Chief Court Administrator of the State of Connecticut as a Connecticut Attorney Trial Referee and Attorney Arbitrator. He has also been appointed by the Administrative Judge for the Hartford Judicial District to serve on the Hartford Judicial District Grievance Panel. He is admitted to the Connecticut Bar (1971), U.S. District Court (1974), U.S. Court of Appeals (1986) and U.S. Supreme Court (1992). He is a member of the Advocates Society of the National Institute for Trial Advocacy, Connecticut Trial Lawyers Association, American Association for Justice, Waterbury Bar Association, Connecticut Bar Association and is a James W. Cooper Fellow of the Connecticut Bar Foundation.